An 18 kilo haul of cocaine was found on a plane which flew into Gatwick Airport on July 17. National Crime Agency (NCA) investigators say they seized the drugs during an operation to target unaccompanied freight shipments from the Caribbean. “NCA investigators working with colleagues from the Royal Barbados Police Force identified a suspect shipment coming into Gatwick Airport from Barbados on Friday 17 July,” said a statement from the NCA. “Border Force officers recovered around 18 kilos of liquid cocaine hidden inside three metal canisters described as ‘oil filters’. “If cut and sold on the street the haul would have had a likely potential value in excess of £3 million. “On Wednesday 20 July NCA officers arrested 54-year-old Barbados-born Errol Watson outside his home on Queenswood Gardens in Wanstead, East London. 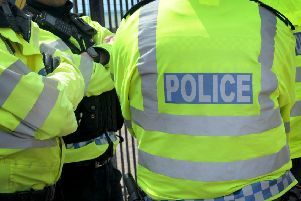 He was later charged with importation of controlled drugs and was remanded in custody following an appearance at Thames Magistrates’ Court on Thursday 21 July. “Two men aged 28 and 41 were also arrested in London and have been bailed pending further enquiries. Steve McIntyre from the NCA’s Border Policing Command said: “We believe this operation has successfully disrupted an organised crime group who thought unaccompanied freight was a low-risk way of moving class A drugs into the UK. “Tackling organised criminals who choose to exploit border vulnerabilities such as air cargo is a high priority for the NCA. These are significant arrests that would not have been possible without the close co-operation of our colleagues in Barbados.